These are mentioned for services to Oakham and Melton Mowbray. After electrification of the Corby route there will continue to be direct service each way between London and Oakham and Melton Mowbray once each weekday, via Corby. This will be operated with brand new 125mph trains when these are introduced from April 2022. This seems to be a very acceptable minimum position. In Abellio’s Plans For London And Corby, I suggested that Class 379 trains could be used on the route and that the trains might be fitted with batteries. Corby and Melton Mowbray are about twenty-fives apart. Batteries and their fast-charging technology has come on at a fast pace since Abellio participated in the Class 379 BEMU Trial in 2015. Are Abellio thinking about extending some Croby services using battery technology? The technology is certainly capable, but is there a proven passenger need? This Google Map shows Melton Mowbray station. 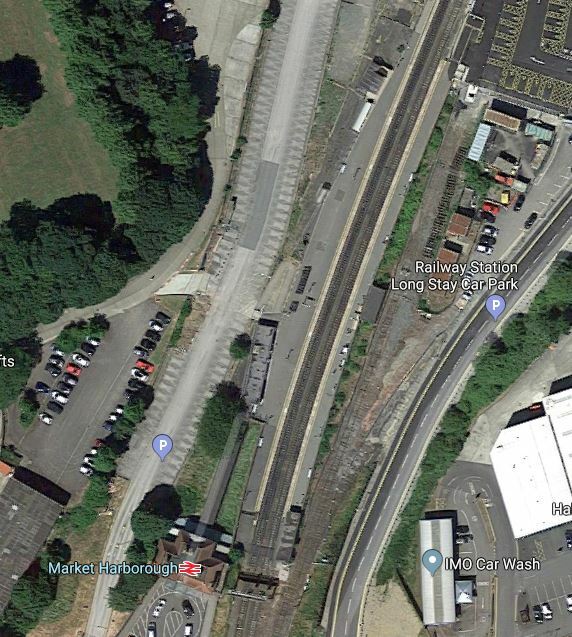 It looks to be a station on a large site with more than adequate car parking and I suspect building a bay platform with charging facilities would not be the most difficult of projects. As current trains take about thirty minutes between Corby and Melton Mowbray, with a bay platform at the latter station, I think it would be possible to run hourly Class 379 trains with batteries to and from St. Pancras. You know well from the article is that enthusiastic supporter of Bombardier. You can also see well you’re feeling aversion to Hitachi. I do not think you can run all the projects that are supported after one year. Hitachi have a major problem with train production in the UK, in that they make the bodyshells in Japan and ship them all the way.Bombardier have refined bodysheel production and can make a large number of trains per month. So this means that Bombardier have got several large orders recently. They’ve had software design problems, but fix software for one train and you fix it for all. East Coast Trains to not order a AT-300 (Class801).